This ‘stat of the week’ is about marketing budgets. 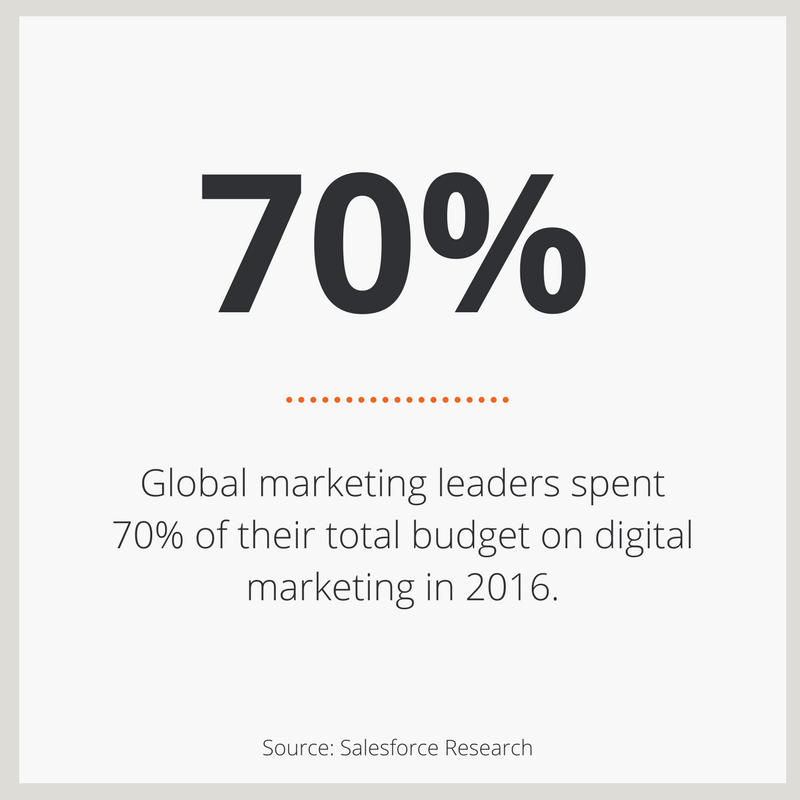 According to Salesforce Research, global marketing leaders spent 70% of their total budget on digital marketing, and 30% on traditional marketing, in 2016. How are you spending your budget?